Henry Bessemer was a British inventor whom was famed for developing a method to mass-produce steel. In the 1850’s the converters invented by Henry blasted air through molten iron to dismiss of impurities, making steel the commonly used material of the industrial revolution. Bessemer knew this was just the start though and in 1865 filed for a patent to cast strips of steel directly, as opposed to large ingots which would then be expansively reheated and shaped by large rolling machines. Bessemer’s idea was to pour molten steel in between two counter-rotating water-cooled rollers which, like a mangle, would squeeze the metal into a sheet. It was an elegant idea that, by dint of having fewer steps, would save time and money. Yet it was tricky to pull off. Efforts to commercialise the process were abandoned. That was until now. Through progress in production technology and materials science, mainly in the field of high-tech steel, the philosophy is starting to be utilized successfully. If the technology begins to be used on a large scale, it has the potential to cut energy consumption by as much as 80%. Other savings in operating and capital costs are also possible. If the new process proves to be viable, steelmaking could once again be transformed. Steelmakers have a history of being apprehensive about introducing new technologies, it was not until the 1960’s that the industry shifted from casting ingots to building giant integrated plants for the continuous casting of steel. This involves pouring molten steel through a bottomless mould which, being cooled by water, partially solidifies it. 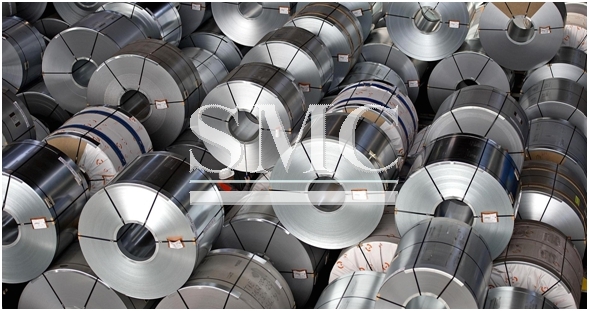 The steel is then drawn down through a series of rolls to form sheet steel or other shapes required by factories and construction companies. Most of the 1.6bn tonnes of steel produced annually worldwide is now made this way. Continuous casting, however, still takes a lot of rolling to reduce slabs cast 80-120mm thick to the 1-2mm required by many producers, such as carmakers. Casting any thinner causes quality problems and flaws in the steel’s microstructure. One reason for that is the bottomless mould has to be oscillated to ensure molten steel does not stick to its sides. The new techniques of twin-roll and single belt-casting are, in effect, “moving moulds”—the rollers and the belt move with the steel as it cools and solidifies. This allows direct casting to a thickness of just a few millimetres, requiring only minimal rolling thereafter. The new techniques are particularly good for making higher-value, specialist steels, says Claire Davis, a steel expert with the Warwick Manufacturing Group at the University of Warwick in Britain. Ms Davis and her team are developing new high-tech steels especially for belt casting, including advanced low-density steels that are stronger, lighter and more flexible than conventional steel. A twin-roll process, much as Bessemer conceived, is already employed by Nucor, a giant American steelmaker. Called Castrip, it is producing steel in two of its plants. A big advantage of twin-roll and belt-casting is compactness. Nucor reckons a Castrip plant needs only 20 hectares (50 acres) and provides a good investment return from the production of only 500,000 tonnes of steel a year. A conventional steel plant, by comparison, may sprawl over 2,000 hectares and need to produce some 4m tonnes a year to turn a profit. The techniques may end up being complementary. Their spatial efficiency and low cost would also allow production to be located closer to customers. Mr Guthrie thinks it is not inconceivable for such a plant to be integrated within a car factory. “If we can make the quality as good as the big slab-casting plants, it would change the face of the steel industry,” he says. New technologies might just blast a dose of fresh air through an old industry, much as Bessemer’s converter did 150 years ago.